^ a b c d e f g h i Alemseged, Zeresenay, et al. (2006). “A juvenile early hominin skeleton from Dikika, Ethiopia” (PDF). Nature 443 (7109): 296-301. doi:10.1038/nature05047. http://forumamislo.net/uploads/post-19-1158785396._afarensis.pdf 2015年12月22日閲覧。. ^ Wynn, Jonathan G., et al. (2006). “Geological and palaeontological context of a Pliocene juvenile hominin at Dikika, Ethiopia” (PDF). Nature 443 (7109): 332-336. doi:10.1038/nature05048. http://www.eva.mpg.de/evolution/pdf/wynn-et-al-06.pdf 2015年12月22日閲覧。. 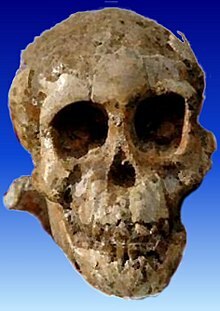 ^ Lucy's Baby - An extraordinary new human fossil comes to light.